1983 Danny started racing motocross in the Atlantic region by his 4th year, he won the open Pro motocross class for the region. Danny has travelled the world working with the best riders. 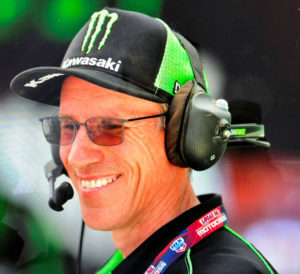 Since he has been the Monster Energy Kawasaki Team Manager. He is presently the Senior Manager for the United States Kawasaki motocross team that competes at the FIM World Championships of Supercross and Motocross. 1989 Bachelor of Engineering, Metallurgy, Technical University of NS. 2013 MAM, Master of Arts in Management, University of Redlands CA.